St. Patrick’s day is one of the most celebrated holidays of the year in Ireland. This day brings a large influx of tourism to the streets of Dublin, Cork, Galway and all other parts of Ireland every year. St Patrick’s Day is the holiday by which we celebrate our Patron Saint who not only rid the isle of snakes but also brought Christianity to the country. Despite St Patrick’s Day being an Irish holiday, the biggest parade is actually held in New York city each year. 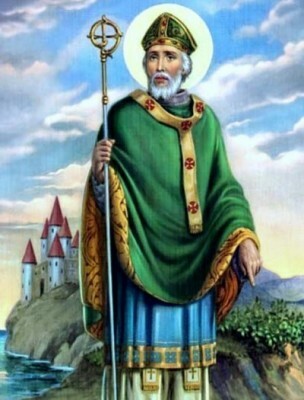 Saint Patrick was originally brought to Ireland as a slave, aged 16, after being captured by an Irish raiding party along the coast of Great Britain. As a slave, his job was to look after the sheep at night in case of wolves or any other threats. After six years he managed to return home after escaping on a boat that was leaving Dublin. He was said to have been visited by an angel of God who gave him advice on how to return home. After returning home he was ordained as a priest but was still said to be tormented by the “Voice of the Irish” who were said to be calling to him in the night. He then asked the church to send him as a missionary to Ireland. Ireland at the time was still named Hiberniae. He travelled all around Ireland preaching the word of God and baptizing those who accepted the Christian faith. He ordained devout men and left them in charge while he went on to convert more towns around the country. He famously taught Christianity using the shamrock’s three leaves to represent the Holy Trinity. To celebrate St. Patrick’s Day we have some suggestions of what you may like add to your jewellery or watch collection. These pieces would be suitable as a self-gift or as a memento for someone who was unable to come to Ireland for this special occasion. 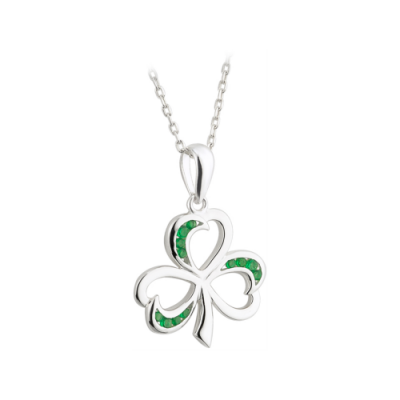 This Failté sterling silver and crystal pendant is a lovely token to remember St Patrick this year. 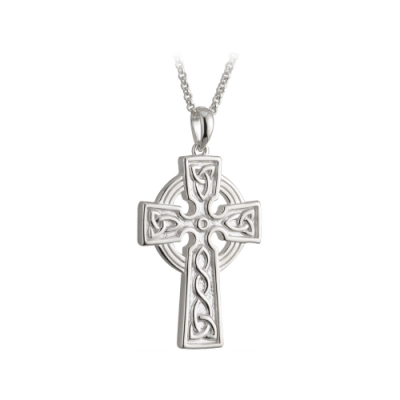 As it is one of the most recognisable symbols associated with both Ireland and Saint Patrick, we think that it is the perfect present to buy for yourself or as a gift this Patrick’s day weekend. The shamrock was a symbol that St Patrick used to represent the father, son and holy spirit when teaching the Irish pagans about Christianity and God. 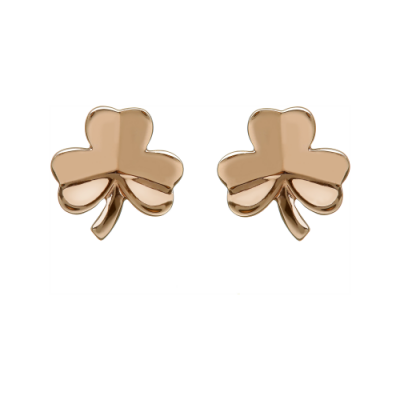 These beautiful House of Lor rose gold Shamrock earrings are an alternative if you like a shamrock but would prefer a pair of earrings which are understated and cute. These earrings are made with Irish gold mined in County Tyrone and Hallmarked in the Dublin Assay office. The shamrock is also a symbol of good luck along with the four leaf clover, these earrings may even bring that extra bit of luck to the wearer this St Patrick’s Day. It is said that the Celtic cross was developed by Saint Patrick, although the exact origin of this cross is unknown, it is said that he integrated the sun onto the Latin cross to create the design we love today. The Celtic Cross is a symbol of both culture and faith in Ireland. This two-tone Gucci G Timeless watch featuring a snake on the dial may not be the most Irish themed watch. 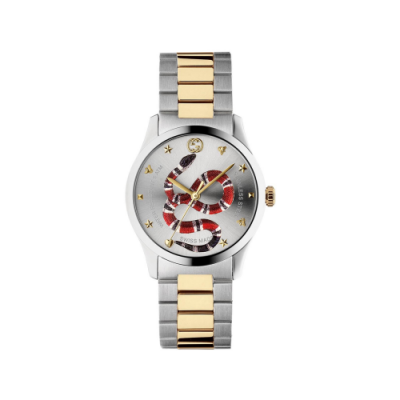 However, if you are looking for an alternative and fun way to commemorate St. Patrick’s day, why not choose this Gucci watch to celebrate the man who, legend has it, drove the snakes out of Ireland. 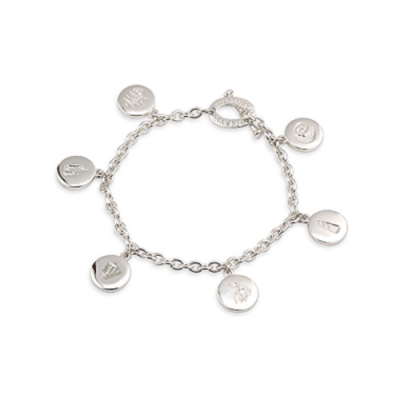 This History of Ireland charm bracelet is created with sterling silver and tells the story of the History of Ireland, represented by 12 charm symbols on the bracelet. The symbols represent significant events in the history of Ireland, such as the famine, St Patrick and the Battle of the Boyne. The Claddagh is one of the most popular symbols sold in Ireland, mostly it is worn as a ring to demonstrate whether the wearer’s heart is taken or ready to be given depending on the direction it is worn. The alex and Ani claddagh represents love, friendship and loyalty. 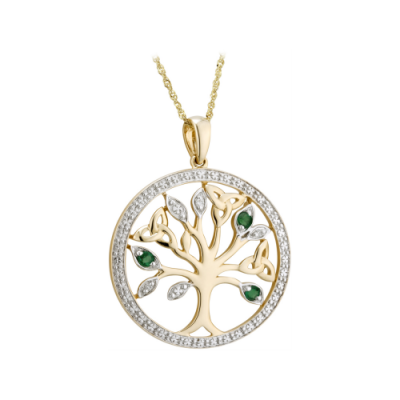 This enchanting tree of life pendant is made with 14k yellow gold and has diamonds and emeralds decorating the leaves. The tree of life is a symbol of wisdom, strength and long life. It also contains details of trinity knots which is an Irish symbol commonly found in many Irish manuscripts such as the book of Kells. Wishing you a Happy Saint Patrick’s Day weekend from all of us here at Weir & Sons!